SRH 139/7 in 20 overs CSK 140/8 in 19.1 overs. CSK won the match by 2 wickets. 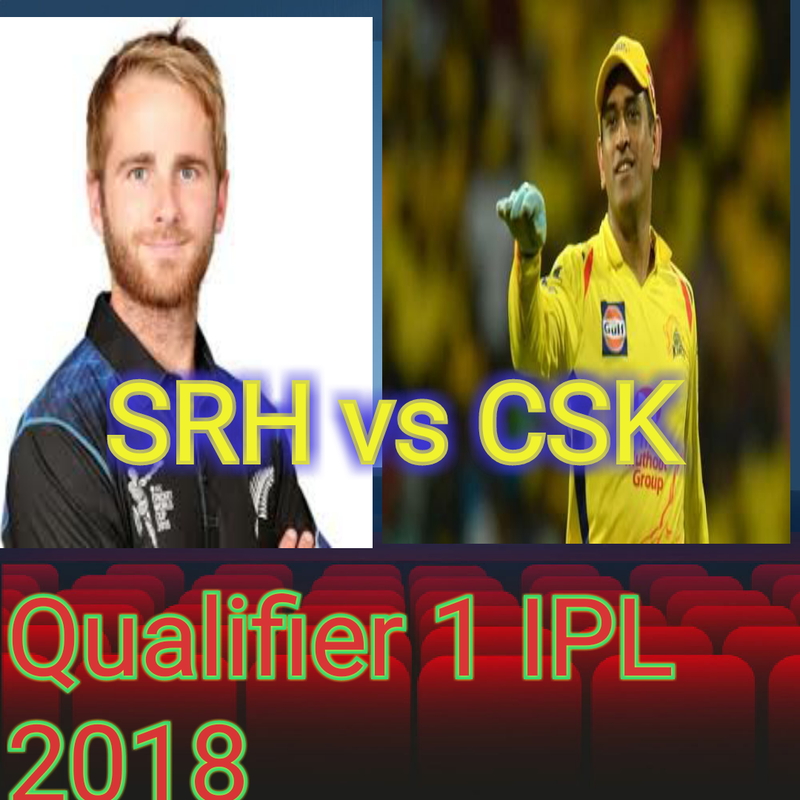 IPL 2018 Qualifier 1 match will be played SRH vs CSK in Wankhede Stadium Mumbai on 22 May 2018 on 7:00pm. 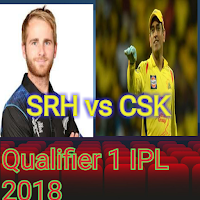 This match will be very interesting because here are the two best teams of IPL 2018 SRH and CSK who will play the match. Winner will go directly in final and loser will have to play against the winner of qualifier 2 match which will be played between KKR and RR. Previous achievement of SRH and CSK in IPL 2018. Sunriser Hyderabad is at the top of point table with 18 points. SRH have won 9 and lost 5 matches out of 14 matches. Captain of this team is in very good form and his best captainship achieved team to no. 1 in point table. Bowling department of this team best and bowling department is also very good. Chennai Super King is on other hands 2nd top team in point table of IPL 2018 with 18 points. CSK also have won 9 and lost 5 matches out of 14 matches but run rate is slightly lower than SRH that was the cause by which this team is at no. 2 in point table. There is depth in batting department of this team. All batsman Dhoni, Raina, Raydu and other are in good form. they have scored a plenty of runs for the team and achieved to win. CSK have had won last league match of IPL 2018 against KXIP by 5 wickets. SRH have won 3 and lost 2 matches on other hand CSK has won 10 and lost 7 matches in IPL. Shikhar Dhawan, Shreevats Goswami, Ken Williumson, Manish Pandey, Karlos Brethwate, Sakib Al Hasan, Yusuf Pathan, Bhuwneswar Kumar, Rasid Khan, Sidharth Kaul, Sandeep Sharma. I will give you live updates also on this blog. CSK won the toss and opt to bowl first. CSK's start was very bad lost 4 most valuable wickets in 1st power play but great inning of Faf du please 67 of 42 with 5 4s and 4. 6s achieved team to win in 19.1 overs.